Edwardian single stone diamond ring, the centre diamond is a transitional cut weighing 45 points, H colour, VS clarity, in a very pretty square setting, having tiered shoulders all with milligrain surround. 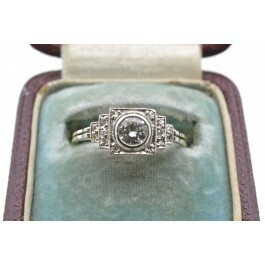 The centre stone is surrounded by four old cut diamonds and an ten diamonds set in the shoulders. 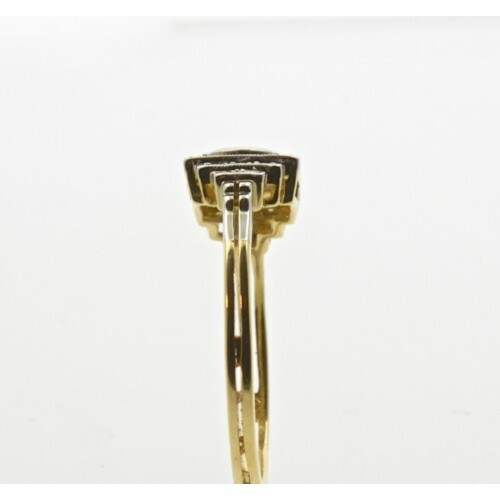 White gold head, with a yellow gold split shank. 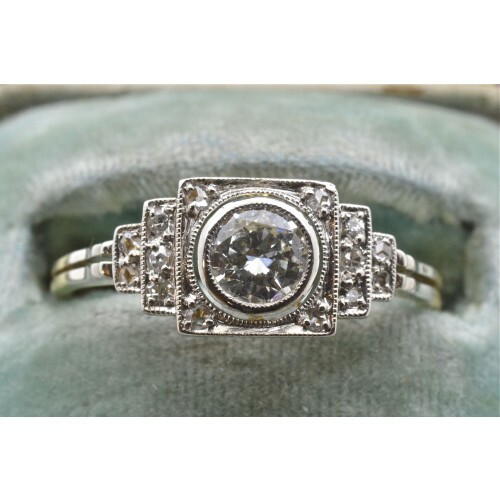 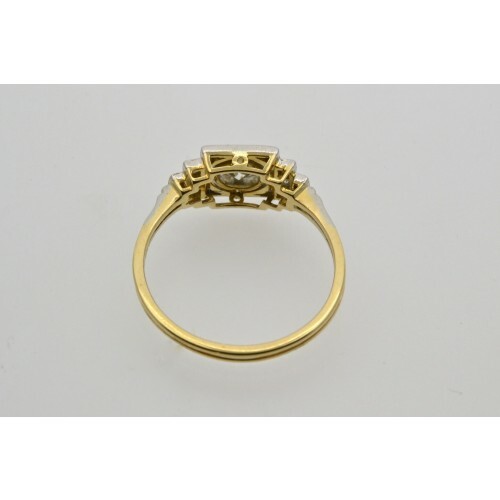 Circa 1910, this is a beautiful ring.